Following the ECB’s quantitative easing, the value of euro currency is dropping. The prediction from Goldman sachs states that euro will reach parity with dollar in six months. Other prediction further states that the value of euro further drops by 2016 around 0.80 against USD by 2016 end. Previously in USA fives years and three rounds of quantitative easing had produced just under 2% GDP growth.. This quantitative easing comes as a gift from god due to the oil price slump. The gift from god came to solve two problem, one is controlling the deflation and second is slight chance of reviving the economy. There is a high probability that this quantitative easing might give a slightest growth. If it gives 2% GDP growth over 5 years in USA, hardly it will give some effect in future. Also there is a high probability that it will lead to stagnation or even depression. There will be drop in price in turn affect the wages and employment.Further Greece debt is about 177% of the GDP in 2014 which is 317 billion euros. Recently the Greek bond has been rated as Junk by the rating agency. Many experts Greek is in high risk of default. Also the tension between ECB negotiation with Greece increases day by day regarding bail out fund. EU and ECB told the Greece to submit restructuring economic plan to Brussels. Any money goes to Greece in quantitative easing program will do no good for the EU economy for revival. But Greece constantly threatening to leave the Euro zone and also Greece default on debt might give a way to leave the euro zone willingly or unwillingly. 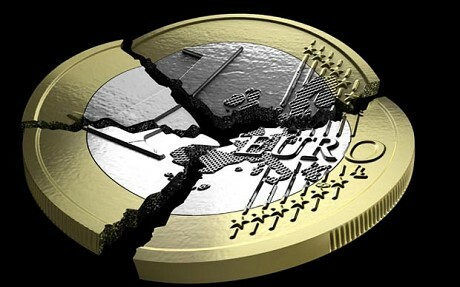 If Greek leaves the euro zone, slowly euro zone starts to disintegrate and this is due to the fact of game theory. There is fundamental flaw in designing the euro zone itself and it has complex financial and political flaws and also the euro zone grown rapidly in a given time. The basic flaw is there is no centralized planing of fiscal, political and other tax. The best example is that it should act in the way as the system United states of America. Finally I strongly believe either euro zone might collapse or the crisis will deepen or stagnate but certainly there will not be a growth. Math as strategy for moving up the ladder.